Two thousand hardy competitors endured sub-zero temperatures and blizzards in the 51st Original Mountain Marathon held at the weekend. The event, in the Black Mountains in south Wales, attracted 300 new entrants. The mountain marathon has been running for 50 years and is held at the end of October to guarantee challenging weather to test the skills needed on the UK’s mountains and exceptional early low temperatures of -12C ensured runners’ mettle was tested this year. Teams of two have to plan a route to find a series of checkpoints and undertake an overnight wild camp before returning the following day. All the necessary gear and camping equipment has to be carried with the competitors. By the end of the first day, after 6hrs 35mins on the hills, skyrunning world champion Jonathan Albon and his champion triathlete partner Gudmund Viljo Arponen Snilstveit led the elite course by two minutes over seasoned elite OMM runners Nicholas Barber and Jim Mann. The rest of the 2,000 competitors completed their routes to the overnight campsite near the hamlet of Capel-y-ffin, close to the Wales-England border. The runners spent a bitterly cold night under a clear sky before racing back to the event centre the following day. Albon and Snilstveit extended their lead over Barber and Mann as the newcomers quickly gained confidence to take the elite win, with an impressive third place for Edinburgh University team Alistair Masson and Tim Morgan. Top elite mixed team was Hannah Moulton and Chris Jones, who were 10th overall. In the A-class, Yasha and Lova Chechik took the trophy, with top women Megan Wilson and Chloe Haines in eighth place. B-class winners were Edd Charlton-Weedy and Paul Horsfall. Rose Watson and Hannah Bradley were highest-placed women in 10th position. Long-score victors were Tim and Rob Patterson; the mixed team of Brony Halcrow and Jon Davies took first place in the medium-score category and Timothy Rutland and Harry Middleton took the honours in the short score. Phil Ward completed his 100th mountain marathon and Calvin Routledge and Robert Ashton won the Hutton Military Trophy. We are encouraged by the increasing interest in the event. “It’s great to see the event still growing after 50 years and we’re pleased that the OMM is still inspiring new people to access wild spaces in the UK. 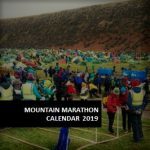 The event fundamentally promotes sound mountain judgement and responsible use of our wild spaces.”The OMM takes two years of planning and involves a number of organisations, including mountain rescue. 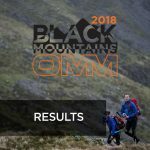 Next year’s OMM will take place on 26 and 27 October 2019, with entries opening on 1 December 2018. Images from around the course + Podium.